The songs in these lessons are selected for the acoustic guitar enthusiast: the person who used to play, the person who still plays – but always the same old songs. These songs are designed to be played on a single guitar for your enjoyment. Once you have learned a song there is also an mp3 file for you to play along with. 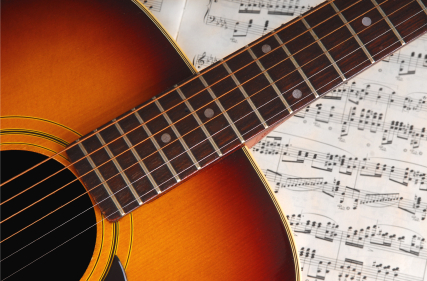 In our Lesson Resources there is a Songs Library where you can choose a song to play along with or listen to several songs to help you decide which song you would like to learn. Don't forget the “go back” format which allows you to go back and review or repeat any part of the lesson you need. We offer songs in 3 different levels.